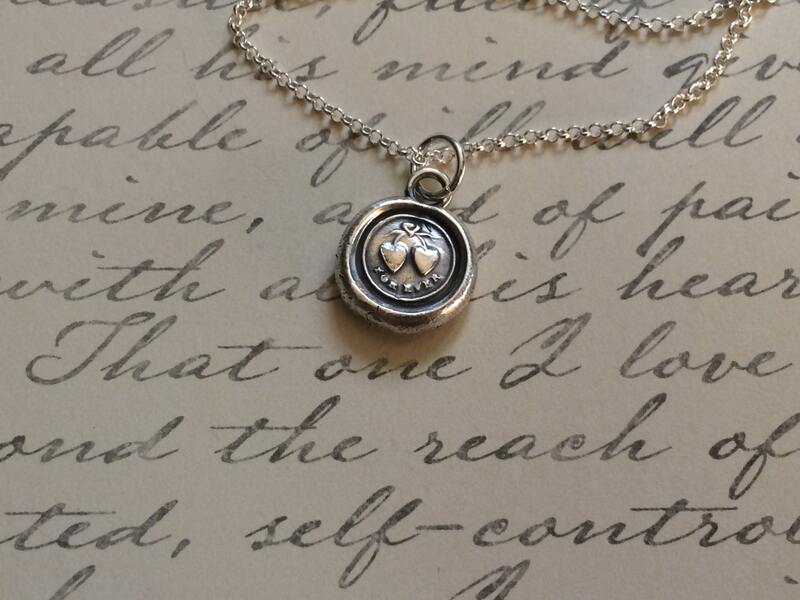 This pendant is a beautiful and lasting way to express a forever love, of two hearts tied together forever. A perfect gift for a valentine, girlfriend, wife, best friend, partner, or daughter. Letters hold such an important part in our history. They were once the only way to convey your wants, needs, demands, and feelings to anyone and everyone. Wars were started with words written in letters, and loves were lost in the same. 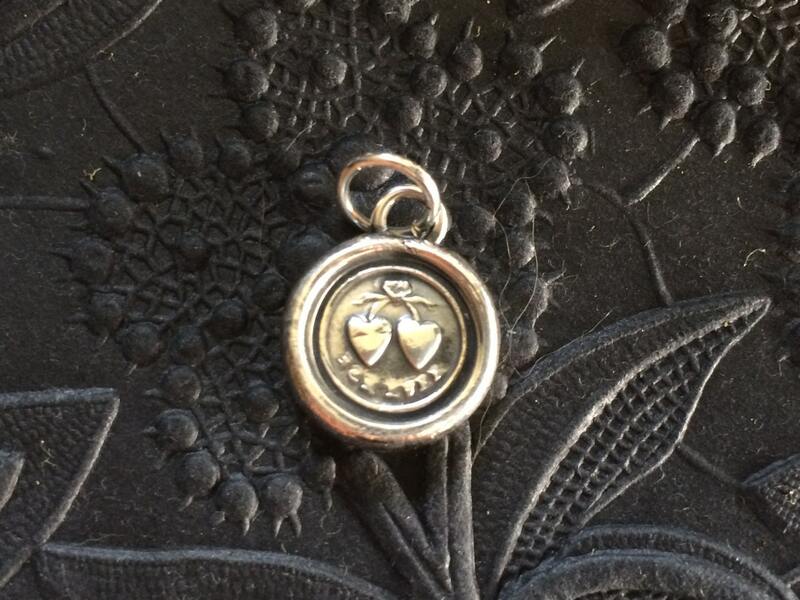 Each letter written contained thought, hopes, joys, and cares all locked away, until the moment the the wax seal was broken, like a key in a lock, when all the intent of the letter was revealed. . . . 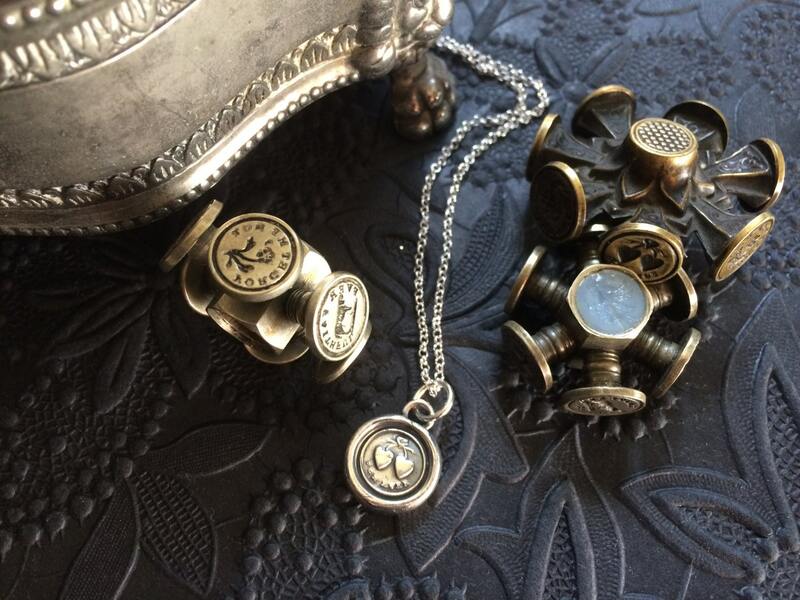 This necklace carries with it the history of those letters written long ago, and the seals that were their lock and key. 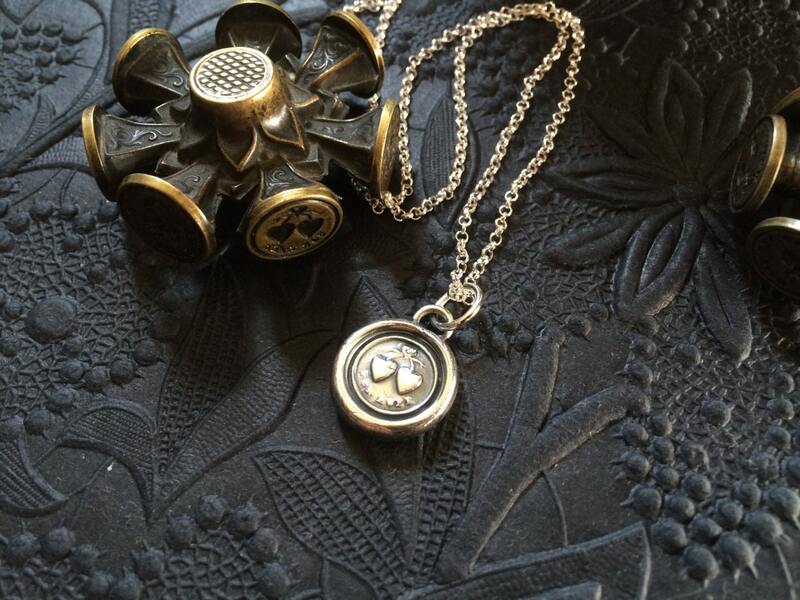 Each piece has its own characteristics, like a true wax seal would have had. The words or image may not be as crisp and clear as it would have been when the stamp was first made, but that is because the stamp used to create your piece was used to seal in many meaningful words, written in many letters, over many years. Your piece will represent the history of the stamp you choose, and will show the love the owner had for that stamp. 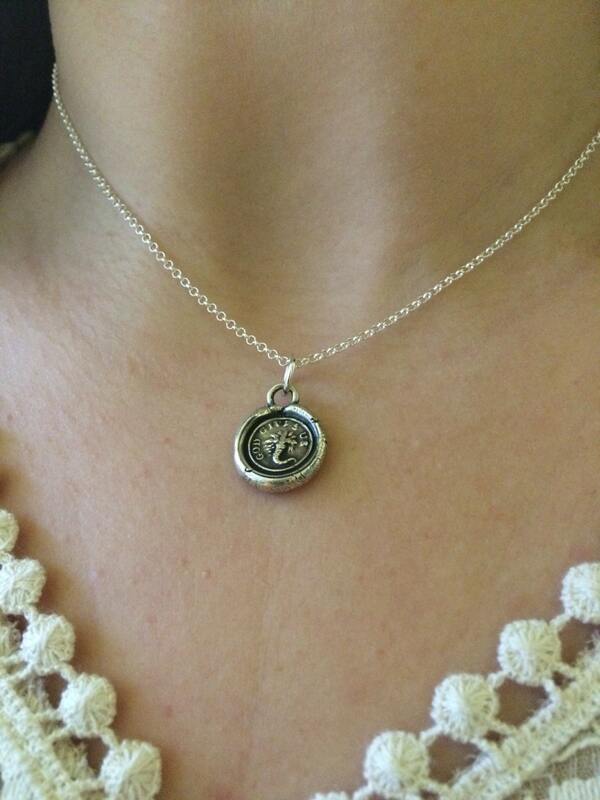 Your pendant will measure approximately 5/8", and will hang from a sterling silver chain. I hope you enjoy wearing this unique bit of history.